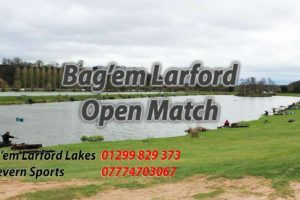 14 anglers fished the Match Lake in warm & breezy conditions. 1st on the day was Steve Forster (Aston Park) from peg 51 weighing in a good weight of 190-07-00. Steve caught on short pole. 2nd on the day was Martin Harrell (Bag’em Larford) from peg 28 with a weight of 175-13-00. Martin caught on pellet on pole method to island. 4th was Pete Morley (Aston Park ) from peg 19, Pete caught on banded 6mm pellet at 11m to weigh 149-00-00.